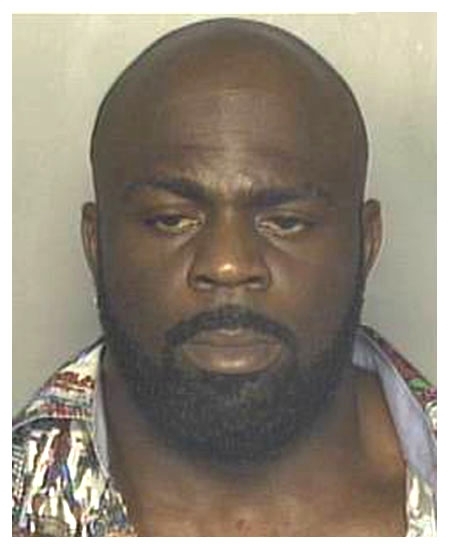 Street-brawling YouTube sensation Kimbo Slice (real name: Kevin Ferguson) was arrested by Miami Beach cops in May 2002 on gun and open container charges. The felony weapons rap against Slice, 28 at the time, was eventually dismissed. He entered a no contest plea to the booze charge and was ordered to attend an alcohol education course. After gaining notoriety via online videos showing him pummeling opponents in brutal backyard fights, Slice made his debut in a sanctioned mixed martial arts (MMA) contest in June 2007, when he defeated former heavyweight boxer Ray Mercer. In May 2008, Slice headlined the first MMA card to be shown in prime time on network television (he defeated James 'The Colossus' Thompson in the CBS broadcast). Submitted by greglisi on Wed, 2011-03-23 19:34.